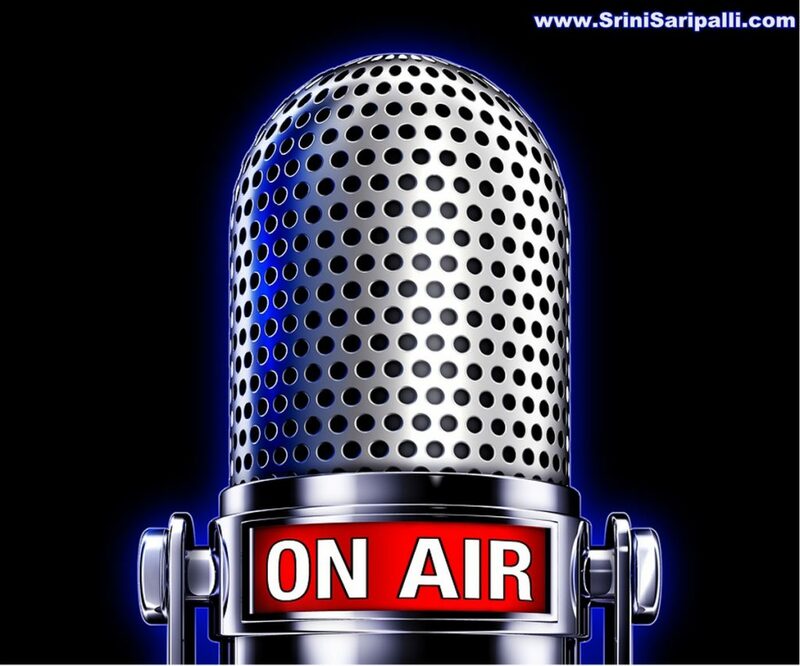 I have spent a significant part of my business life promoting events, workshops and products on RADIO. Over the years, I have been consulted by many hosts, anchors, event promoters on how to grow their business using Radio. From “what works on RADIO” to “how to make it work on RADIO”, I have helped answer all kinds of difficult questions that impacts the success of an average business owner on Radio. If you are considering getting on radio or have been struggling to make radio work for yourself. Here are some of my thoughts that you may find helpful. 1. There will always be listeners But..: Every station has listeners, with time and effort any station can generate a response but you may not have infinite amount of time and money stacked for your marketing experiments, and the truth is nobody has. That being said the key to making profits on radio is to find a station that is on a “Growth Path”. There are many data-centric ways to assess the growth of a station, but I have always depended on the crowd sentiment to assess the popularity of a station. I go to local community events and try talking to people to what they listen and most importantly their tastes and inclinations. My advertising dollars go to stations who consistently make an effort to increase their listener base. If I find the promotional team of a radio station running their booth at a community event I’m attending, it reinforces my confidence in that station. 2. The Message & The Offer: Good marketing will kill a bad product quickly. Bad marketing will kill a good product slowly. In both the scenarios the loss is yours, the question is amount of time it takes before you realize you are at loss. What is the offer? What is message? How can you creatively position the offer with a message that will resonate. The ideal position you want to get to is “Good Product and Good Marketing” and that’s why you should be using radio. 4. There are three parties: Your radio show should benefit the listeners first. This should be the foremost objective. Then as a result, it should benefit you. Most show hosts stop here and forget the third partner in the mix which is the Radio Station itself. If the station is not generating revenue from the amount of time they retain in your hour or they are not able to attract new advertisers to the station quoting your show, then the chances are your show; after all is not that effective. Remember when one party lags behind it’s a matter of time before the other two will. 5. Response Is Not Always a Station Problem: I talk to a lot of promoters who simply depend on a specific host on a specific station for their event success, nothing wrong with this approach but understand; Hosts & Showtimes only play a specific role to a limited extent. A majority of your promotion success should come from your ability to exert your own personal influence. Harry Styles concert recently sold out in a matter of three seconds setting a new world record. Consider a good host, drive time placement as a bonus to your efforts but it all comes down to your ability to influence and persuade. 6. Everybody is in competition with everyone: As far as competition on radio is concerned CPA, Financial Planner, Chiropractor, Astrologer or Success Coach they all are the same, after all there is a finite amount of money in that wallet and that wallet is listening to everyone. Whoever gets to it first, gets to keep it. You may disagree with this, but it’s the bitter truth. 8. Every hour is same: Drive times are important, they attract most listeners, but with good programming and long term planning on your part can help turn any segment in any hour into a profitable endeavor. Time and again, I have seen 2AM shows attracting calls and engagement in exponential proportions compared to their morning drive time counterparts. 9. Think Incentives: The success of a show is not about the amount of calls it generates on AIR. This measure has been used and sold in different contexts only to be proven wrong over time. I have been on both sides; with no calls on a sixty minute show to 40+ calls in one show. As a business owner what matters is how many calls you receive in your business after a show and what further matters how may of those can you convert into customers. If a post is worth reading, it’s worth commenting & sharing! If you found this post go ahead and leave a comment or share it on social media. If you would like to learn on “HOW TO TURN YOUR LISTENERS INTO CUSTOMERS” , you can join my upcoming webinar by clicking here. I run this webinar a few times in a month which is targeted to both new radio advertisers as well as seasoned pros. You will discover why the old media “RADIO” is still effective and how you can combine the new media “FACEBOOK” to quadruple your reach and engagement along side increasing revenues. Check out the webinar date and times here.